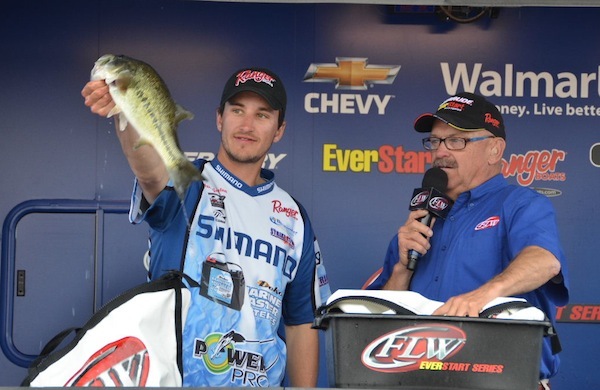 There were a pair of Minor events this weekend — a BASS Central Open on the Red River and a FLW Northern EverStart on Smith Mountain Lake. However, you’d be hard pressed to know that if you looked at the latest update of the Minors-Only Ranking. Not a single change in the top 20. Not one. But once we hit 20 we started to see some movement. Trevor Romans’ kicked off the movements as his 49th at the Red River slipped him a couple spots to 23rd. Nothing too noteworthy there, like say, James (Philip) Crelia’s 85th in the same event dropping him 11 spots to 34th. Chris Johnston started strong at Smith Mountain, but he ended up finishing third after his shad-spawn bite dwindled. Still, the finish was more than enough to jump him 11 spots from 37th to 26th. Tom Belinda was nine spots behind Johnston in the final standings at Smith Mountain, but he’s only three spots behind in the rankings as he climbed seven spots to 29th this week. Moving back to the Red River, Lendell Martin certainly had a tournament to forget. Prior to the event he was in 34th in the ranking. Then he finished 107th and promptly fell to 54th in the rankings. Josh Bertrand finished one spot worse than Martin in the same event, but he had enough tournaments on his resume to soften the blow, as he stayed in the top 50 after falling from 27th to 45th. Joshua Wagy finished out the top 50 movement, as his 17th at Smith Mountain jumped him 15 spots into the top 50, as he now resides in 48th.